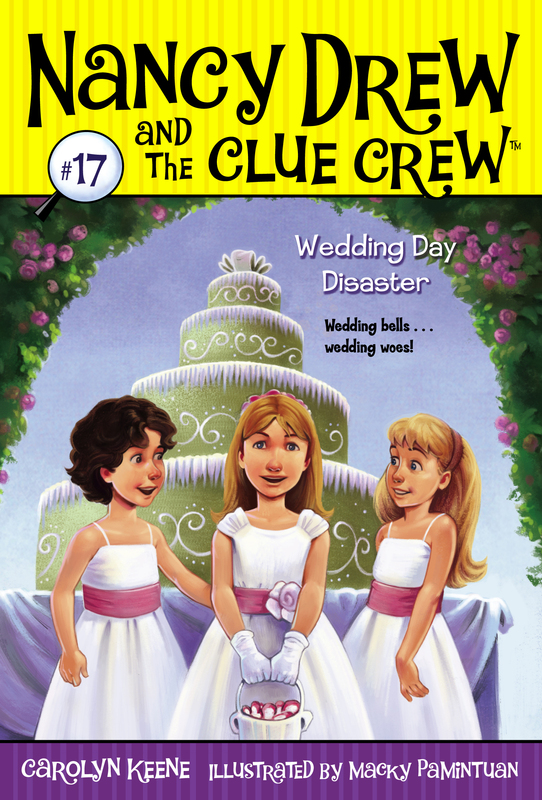 Eight-year-old Nancy Drew solves cases with her friends in the Clue Crew! Nancy's cousin is getting married, and Nancy is the flower girl. She can't wait to see the butter crème de le crème wedding cake! Bess and George have the special job of rolling out the cake. But a wedding day disaster strikes when Bess and George bring out the cake and Nancy notices that a slice is missing. Who would want to ruin it? The crew begins to wonder if the culprit is Kendall, the bride's neighbor. But when the clues point to another guest, Nancy is worried. Will this culprit get to have his cake and eat it too?